On customer service, Shini adopts considerable and flexible ways to meet all kinds of requirements. On product design, Shini adheres to user-friendly principle; by improving new technologies to realize design humanization to the maximum. 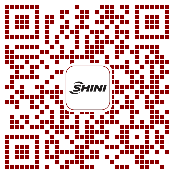 On business cooperation, Shini provides one-stop experience, and creates trustful and friendly long-term cooperation. To be an enterprise that satisfies not only the staff and customer, but also the shareholders and the society; strive to become the world’s largest “one-stop-shopping” auxiliary equipment and solution supplier. That is to provide high cost-performance and reliable products as the goal, excellent service and support as the basis, sincerely service the world’s plastic industry. At the same time, provide opportunities for both the staff and partners. People oriented, talents first; always seek talents with eagerness. Responsibility is more important than ability, get everything done with whole heart, and always take the responsibilities. Manage to satisfy the employees, customers and shareholders. Having the global market in mind, innovation is the guarantee of the sustainable development of an enterprise. Quality is always the preference which is the duty of every single employee. Respect each other, encourage each other, trust each other. When working with the management layer, initiative, thoughtfulness and cooperative are the three important principles. Sincerely serves customers and be law-abiding enterprise and citizens. Always make it better in every step and stage, take into actions and report back.